Mom Of Many Hats Radio | Your ability to juggle all of your hats is PRICELESS! Your ability to juggle all of your hats is PRICELESS! To hear this broadcast, click HERE. To listen to any or all of the Mom of Many Hats Radio broadcasts, click HERE , or click PODCAST GAL or the Podcast Gal on the sidebar to download at no charge in ITunes! Do you remember the joy of play? Did you spend hours upon hours pretending to be a pirate or a princess? Did you make mud pie creations worthy of a four star restaurant? Did you pretend to be on a safari as you climbed the trees in your back yard? Shannon Guernsey joined Mom of Many Hats Radio to share her site, Planet Fassa! 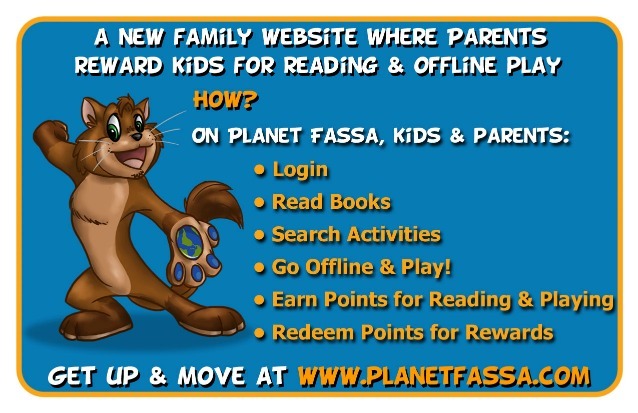 Planet Fassa is an interactive site that encourages creativity, imagination and outdoor play. Through a series of online books, kids will learn technology skills, but also be encouraged to bond with the characters, hone their reading skills, and get out into the world and play! Shannon and the Mom of Many Hats discussed the impact of play for kids and families. Among the very important and relevant ideas about why it is necessary, were a few some key points that we all need to remember when it comes to allowing free play for those young ones that we have a responsibility to:world and play! 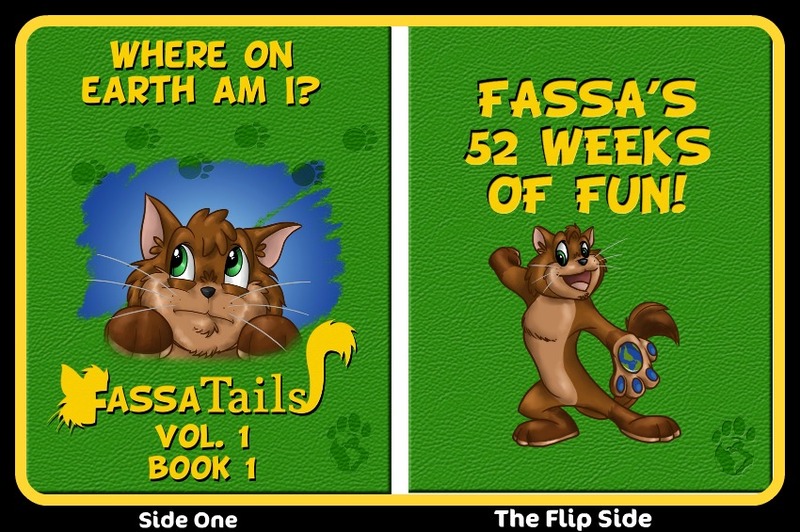 At Planet Fassa, families will find 6 interactive books with a great cast of characters, and prompts for hours of activities, as well as a points system to encourage kids to participate in imaginative, creative, and offline play. Play is a basic right for children and necessary to a child’s development. Play and imagination hone problem solving skills and forward thinking. As parents, caretakers, and teachers, we need to empower kids to be creative, play, and understand who they are. Families, teachers, and caretakers create the extended “village” that creates opportunities for kids to use their imagination. To hear the entire discussion click the here. Shannon Guernsey has a heart for helping children see the greatness, the creativity, and the imagination that is hidden inside of them. Her goal is to help them reach their A-Ha moment as they unlock the limitless bounds of their imaginations. Under the pen name S. Mooo, Shannon has written 6 interactive online books for kids to explore the vastness of their own potential to create limitless stories and fun in their free play. To connect with and to lean more about Shannon, join her on Twitter @S_Moooo or on Facebook. Are you too busy to be healthy? Do you think that in order to eat healthy has to be a battle between you, your will, and the taste buds of your family? Beth Aldrich, healthy living and nutrition expert, joinrf Mom of Many Hats Radio to shed light on how we can transform our eating habits, and our attitude about food. In her expertise, she knows that as real moms, we love food and we love to eat. We don’t want to feel deprived as we move to a healthy lifestyle, and we certainly don’t want to battle our families either. Beth shared her strategies from her book Real Moms Love to Eat, that can help us realize that our love affair with food doesn’t have to come to an end, just so we can get back on the healthy track. Take small steps in making changes to a healthier food lifestyle. Too much change at once can be overwhelming. Focus on the things you can do – empower your decisions. Focusing on the “can’ts” can make the change much tougher. Realize that we are in dysfunctional relationships with many of our favorite food friends (salt, sugar, carbs, fats). We need to evaluate them and make them healthy relationships. Our relationship with food is often a very emotional one. We need to address emotions attached to food and see if there is anything we need to change about the reasons we need or crave particular foods. Beth also shared her favorite recipes from the extensive list of recipes provided in her book. Her mouth watering recipes are sure to tempt even the pickiest of eaters! Beth Aldrich is the Author of Real Moms Love to Eat. 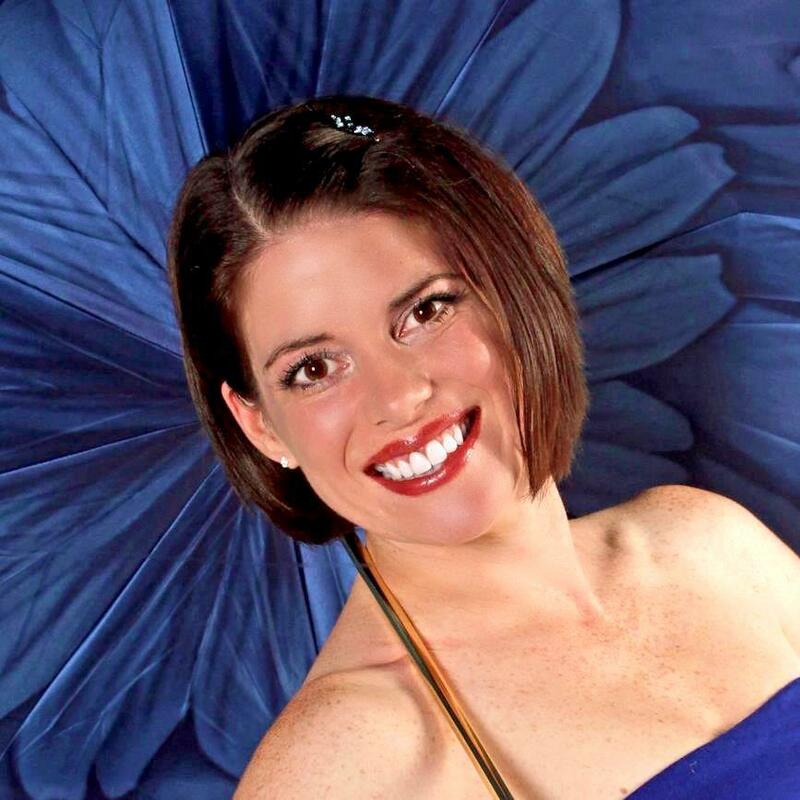 the founder ofRealMomsLoveToEat.com and a certified Health Coach. She is a green living expert, an author, and a speaker. She is also the founder of For Her Information Media, LLC. She lives in Chicago with her husband and her three sons. Do you ever wonder why your kids won’t follow your directions? Why they talk back? Why they seem to think that mom and dad should get them the newest gadgets, toys and things? If you find yourself frequently asking “why are they…”, then maybe it’s time to start asking different questions. It’s time to embrace our own accountability in our parenting. It’s time to start asking ourselves how and what we can do to be the best parents we can be. John G. Miller of, author of the QBQ! series joined Mom of Many Hats Radio to share the principle of personal accountability to the important job we have as parents. His principles from his latest book Parenting the QBQ! Way has us asking ourselves the right questions as we walk the parenting path. It help us as parents to embrace and model personal accountability to our children. Personal accountability is key to being outstanding in all that we do. As parents, we have an impact on how our children are able to cope with the world. Although there are things that are inherent in them, and things that are beyond our control, we do have a huge impact on them in the way we parent them. Our primary job as a parent is to equip them to be independent, responsible for them selves, and accountable for their decisions and actions. But, all of those things start with us. Using the personal pronoun “I”. Click the listening link above to hear the entire broadcast and more great discussion about embracing personal accountability in our parenting. 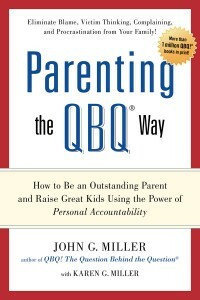 John G. Miller is the founder of QBQ, Inc., an organizational development firm built on the core value of becoming outstanding through embracing personal accountability. John is the author of QBQ!, Flipping the Switch, Outstanding, Specks and Planks, and Don’t Just talk, Be Heard! In addition to authoring six books, and to speaking to and working with countless organizations to help them be outstanding through accountability, John and his wife Karen have raised 7 children. Parenting the QBQ! Way is available in an easy to read e-book format to fit most any e-reader or to download and read on your PC. 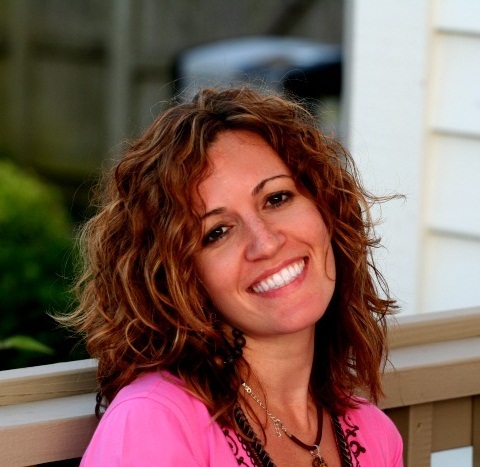 Live Inspired and Feed Your Spirit with Michelle Sedas! Are you constantly doing for others? Do you feel exhausted and overwhelmed, but still spend what little energy you have on others? Do you feel guilty saying no and taking time for yourself? Inspirational author, Michelle Sedas joined Mom of Many Hats Radio to share her inspiration and experience resulted in her beautiful book Live Inspired. We discussed how you can stretch your mind, gladden your heart, and nourish your soul. Taking the time to feed our own spirits makes us better able to feed the spirits of those we love. As moms, and as women, we often give and give until we have nothing left to give. It is so easy for us to get into the cycle of pouring out of the pitcher, but not taking the time to fill it up. We love our children and want to do for them, exist for them, and give them our all. But at the end of the day, if we try to pour from an empty pitcher, everyone ends up thirsty. If we stay busy, we feel we are doing right. We need to slow down and drink in the moments. Women that know the importance of self-care are the women that shine. We need to take care of ourselves. We only have one life to live. This is it, so, act now! There is nothing in life that at some point can’t be laughed at. Get in touch with what sets you on fire. Do you feel like you are about to lose your sanity as you are trying to help your kid find their path? Is the war of the ages playing out in your household as you navigate the battlegrounds of relationships, finance, and the college application process? 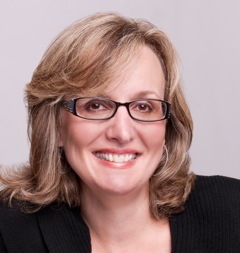 Nancy Berk Ph.D, joined Mom of Many Hats Radio to share her funny, but informative take on helping your kid get into college without losing your savings, your relationship, or your mind. Having gone through the process twice herself, and having the insight of a therapist AND college professor, Nancy’s comedic approach and explanation of the process is sure to put a grin on your face and lighten the dark night of the college prep experience. She shared her humor and her expertise with us on Mom of Many Hats Radio! We should realize that there is more than one perfect place for our child – and to remind our child of that. If we or our kids think that there is a single perfect place, we are setting ourselves up for disaster. As parents, we have anxiety about our kids taking their SATs and ACTs, but our kids have just as much or even more. We need to relax and contain our anxiety to help them through it. We need to understand and see where we need to direct, push and pull a bit to keep the process going – our life experience and management skills can help them meet deadlines. But, our children will be successful in the process if we allow them to drive the process, write their own essays, and do some of the problem solving and investigating in the process. What we can do as parents is work with our kids strengths and weaknesses to help them find the right place, maintain a good relationship with them, and maintain some of our savings. To listen to the entire broadcast, click the listening link above. Dr. Nancy Berk is an award-winning humorist who puts life on the couch for a laugh. A stand-up comic armed with a Ph.D. from Vanderbilt University and the skills of a therapist, professor, and researcher, she’s been described as “Dr. Phil meets Tina Fey”. Her latest book COLLEGE BOUND AND GAGGED: How to Help Your Kid Get into a Great College without Losing Your Savings, Your Relationship, or Your Mind, tackles the tightrope millions of parents walk during the college process by throwing them a net and some laughs. Her book can be found at Amazon. To enjoy more of her humor about life and her insight, visit Whine at 9 – her weekly podcast. Do you have dreams and aspirations only to find yourself doubting your abilities? Do you minimize or second guess your ability? Do you feel bound and stuck, and don’t know how to move past the barriers holding you in place? Dr. Saundra Dalton-Smith joined Mom of Many Hats Radio to talk about the 7 Lies women tell themselves, holding them back from fulfillment and happiness. 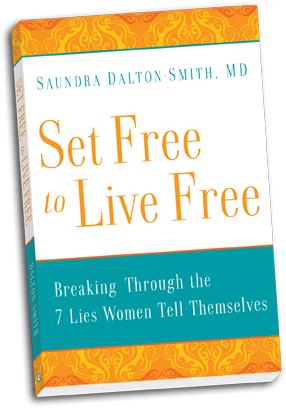 Dr. Dalton-Smith will discussed her book, Set Free To Live Free – BreakingThrough the 7 Lies Women Tell Themselves , and shared how women can break free of mental ties that keep us from living free and living out our dreams. In her Medical Practice, Dr. Dalton-Smith would encounter women that were looking for something to cure their malaise- a similar condition that affected many of them. Many felt unhappy, frustrated, down, and alone. Drawing from her experience as a Doctor and as a woman and a mom, Dr. Dalton-Smith identified mental blocks- or lies, that women get caught up in. Those lies create a feeling of unhappiness and lack of fulfillment. Dr. Dalton-Smith also shares five stages that women can embrace to help them break free of the lies and step into freedom. 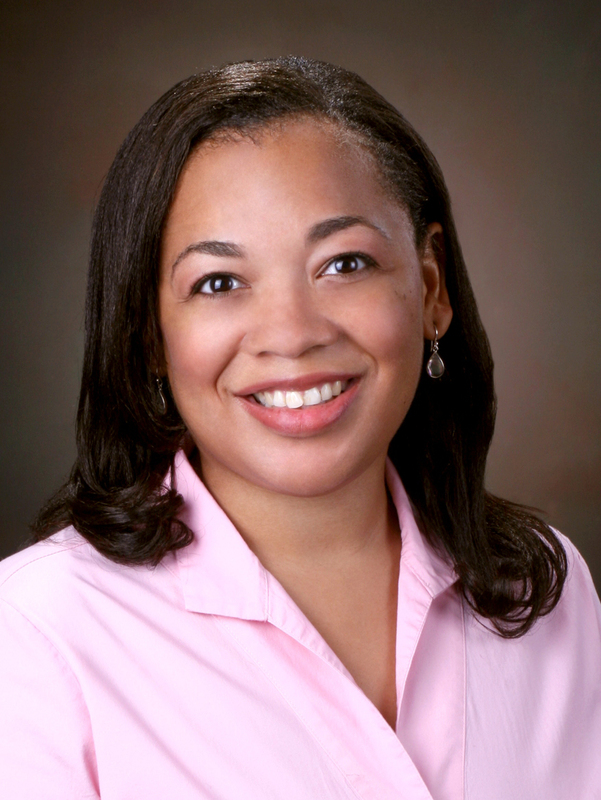 Dr. Dalton-Smith is a board-certified internal medicine physician who has been actively practicing medicine since 1999. She serves in the medical and academic communities through medical practice as well as teaching. She is passionate about teaching women freedom through Christ and has is a published author writing about the physicians role in spirituality and patient care. To listen to the full episode and to learn more about Set Free To Live Free – BreakingThrough the 7 Lies Women Tell Themselves , Click on the listening links provided above. For a quick view and purchase information, click here! Did you know that drug use and drug addiction is not only a problem with illegal substances? Did you know that kids can get their hands on “designer” substances – substances that are similar to the illegal kind, but sold legally? Do you know that YOU play an important role in preventing substance abuse in your family? If you are a parent, this is an episode you don’t want to miss. Kim Obert, Program Manager, and Shirley Baum, Board Member of DrugfreeAZ.org joined Mom of Many Hats Radio for an important discussion on drug use in Arizona. Although the discussion is based on Arizona statistics, this discussion is for everyone across the country, as Arizona is a snapshot of what is happening across our country. Our discussion with Kim and Shirley included the trends in the use of substances. From prescription drugs, to illicit drugs, to designer drugs, our children are at risk from the use of substances that are harmful and addictive. With the average age of first use being 13 years old, and an increase in the use and availability of substances, it is important for parents to have conversations early and often with their kids about healthy living and the dangers and risks of drug use and abuse. To have those conversations, parents and kids need to be armed with information. Many of us know something about the commonly known substances such as marijuana, ecstasy, meth, alcohol and tobacco. Shirley and Kim shared information about “designer drugs” – substances that are often sold legally, but are used to simulate the affects of other substances. Among those are “bath salts”, “glass cleaner”, “plant food”, “spice”, and others. They provided us with information for us as parents to use if we are suspicious about something we hear or see in our child’s possession. They also shared with us the things that we can look for in behavior that may signal there is something that we should investigate – mainly, a substantial and marked change in their behavior. As parents, they suggested that we “trust our gut”. Be a role model to your child. Listen to your teens, avoid interrupting. Help them to discover the feeling of gratitude. Create scenarios and act out with your child, how they would handle a situation involving drugs. For a complete list of the 12 Steps in 2012, and to listen the important information in the broadcast, Listen HERE. For additional information and resources visit DrugFreeAZ.Org. Join the conversation LIVE on Friday at 5PM EST! Call in with questions or comments at 877-864-4869 . Tweet with us at #MMHradio. Live chat with us through the link at the top of the page. Or Join the Facebook conversation! We’d love to hear from you and have you be a part of the discussion! CLICK THE IMAGE TO LISTEN LIVE OR TO ACCESS PODCASTS ON THE MOM OF MANY HATS RADIO PAGE! DOWNLOAD PODCASTS FOR FREE IN ITUNES!!!! Click the image and you can take Mom of Many Hats Radio where ever you go! Follow the Mom of Many Hats on Facebook! IBC Breast Cancer Isn’t Always A Lump! If you are a Wonderful Super Woman Grab the Badge! I Made the Commitment – Will You? Click the RSS feeds below to check out some of the sites I follow!